It was a great honor to talk with bluegrass legend Bobby Osborne. The music of the Osborne Brothers is a staple for any traditional music lover. Bobby has also had a terrific solo career, and his most recent record is aptly titled, Original. Bobby is most certainly an original with his incredible voice and wonderful mandolin playing. Getting to talk with Bobby was so special. Bobby continues to be a great ambassador for music and will always be a true original. Danny Barnes is a special person and I learn something new from him each time we talk. Most of the time we talk about music, but sometimes we talk about art and culture and I always walk away from our conversations a more enlightened and informed person. In this interview we talk about his new record, Stove Up. We delve into Don Stover and his banjo playing. We also talk about what made Baltimore musicians have such a special and unique sound. Talking with Danny is something I will remember for a lifetime and I am lucky to call him a friend. Michael Daves is keeping the tradition of bluegrass alive one song at a time. Not only is he one of the top guitar virtuosos of the genre, he also is saving the classic canon of bluegrass and traditional music for future generations. With his most recent record, Orchids and Violence, Michael recorded classic traditional songs in a very unique way. In this interview we talk about Michael’s musical beginnings, the Atlanta and New York jam scenes, and the process by which he created Orchids and Violence. 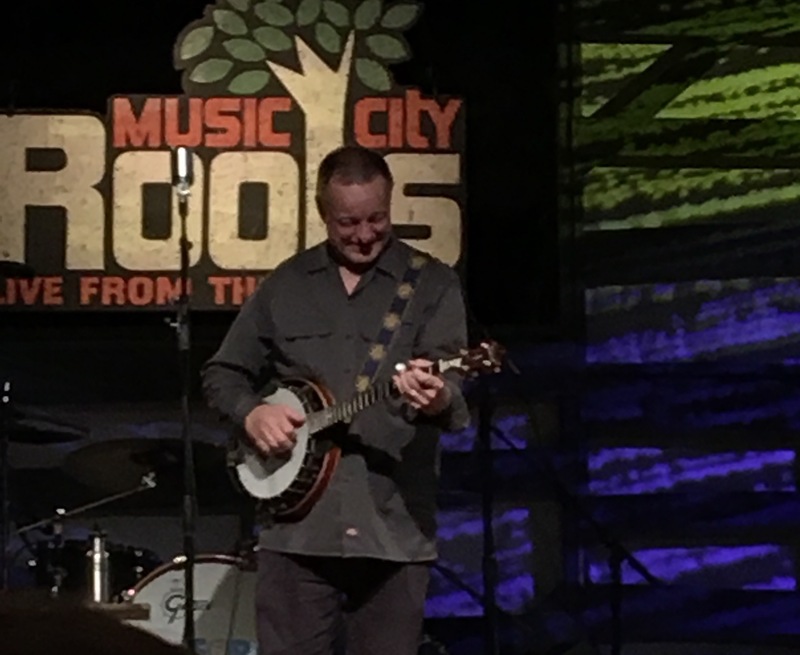 It was great to see Danny Barnes at Music City Roots Wednesday night. Danny was one of the first people I ever interviewed and getting to talk with him for over an hour was so special and something I will never forget. Danny is such a tremendous musician and to see him live and in person was incredible. His banjo playing never ceases to amaze me. It is always innovative and inspiring. Danny is a true master who respects the past and creates for the future. It was great to catch up with Emerald Rae on the Up On the Mountain podcast. She has just released a new video and is working on a new solo record. We talk about all of that and more in this interview. Emerald does so much for traditional music and it’s always so much fun to talk with her. John Reischman has been a part of some of the most influential bands in bluegrass and traditional music. He helped create a unique sound in the California area with The Good Ol’ Persons and Tony Rice. Reischman gets a special tone out of his mandolin, and it is this tone which many mandolin players try to emulate. His band The Jaybirds is continuing the tradition of great bluegrass on the West Coast and Canada. With the Jaybirds, Reischman is creating new sounds while keeping tradition alive. John Reischman is one of my favorite mandolin players and it was an honor to get to talk with him. His music is one of a kind and will continue to inspire musicians for generations to come. 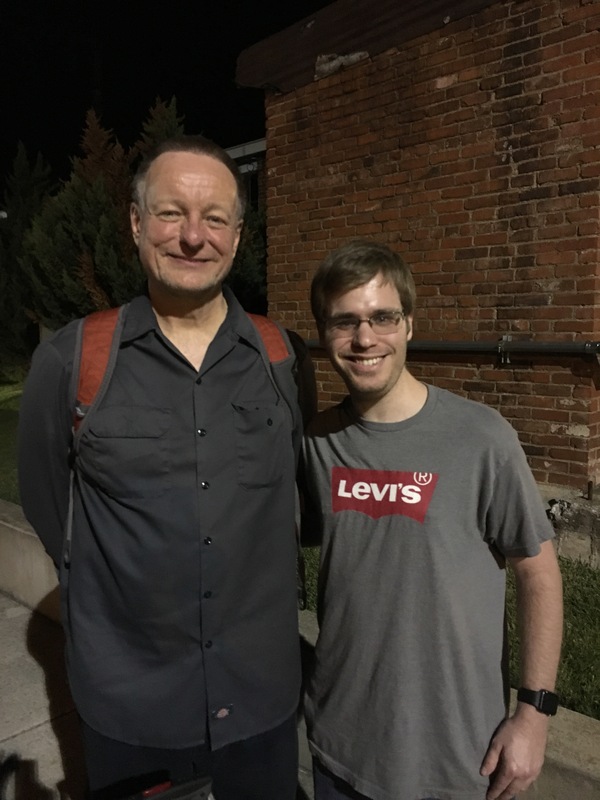 Scott Tichenor is the founder of the mandolin website Mandolin Cafe and has been connecting the mandolin world since 1995. On some days Scott is programming and on others he is trying to restore old Bill Monroe footage. Scott has one of the most helpful sites on the web, and he is one of the nicest people you will ever meet. The internet has changed since 1995 and it will probably change again. One thing that won’t change is the great content and welcoming community that you will find on the Mandolin Cafe. Mondays are now something to look forward to thanks to David Benedict. The mandolinist has created a video series entitled Mandolin Mondays to share mandolin music with the world. In this series David records himself playing a new tune each Monday and makes the tablature available for free to anyone who is interested in learning a new tune. David has also joined Mile Twelve, a bluegrass band out of Boston. It was so much fun talking with David this week. In the interview we talk about his musical beginnings, life in Nashville, and much more. Dom Flemons is a founding member of the Carolina Chocolate Drops and a wonderful preserver of traditional American music. From slam poetry to silent films, Dom finds inspiration in all kinds of interesting things and that’s what makes him a one of a kind musician. It was an honor to have Dom on the podcast this week.